Sonia Manzano grew up poor in the Bronx and left a home torn by alcoholism and violence to join the cast of Sesame Street, where she played Maria for 44 years. She also wrote for the show, earning 15 Emmy Awards. Her memoir, Becoming Maria: Love and Chaos in the South Bronx, will be published by Scholastic in October. American Libraries spoke with Manzano before her talk at the 2015 Annual Conference and Exhibition in San Francisco. You once mentioned the importance of seeing West Side Story as a child. Could you talk about what it was like seeing representations of yourself in entertainment and what that meant to you? 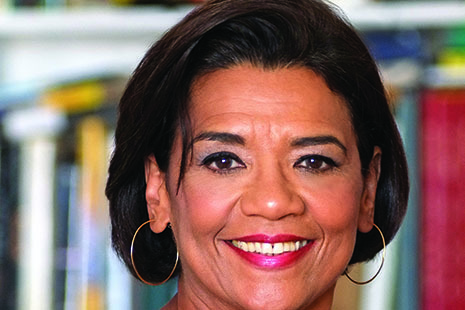 SONIA MANZANO: When I was a kid, there were no people of color on television or in books. And so I grew up wondering how I was going to contribute to society that didn’t see me, because I felt invisible. I couldn’t articulate that in my brain as a little kid, but that was the sensibility that I had. And then I saw West Side Story, and it was the first time I’d seen Latin people or Latin culture, specifically New York Puerto Rican culture—I’m Nuyorican. I saw what used to be ugly neighborhoods all of a sudden beautified. And I think I had my first inkling of what art was: Art is taking something banal and making it glorious. 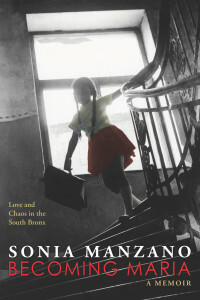 The cover of Sonia Manzano’s memoir, Becoming Maria. Providing representations of lots of different people also seemed to be a goal of Sesame Street. Why was the show set in an urban location instead of rural or suburban? Our first target audience was children in the inner city who were underserved, and we thought that if they learned their basic cognitive skills, they could start kindergarten on an even level with their middle-class peers. It was a very idealistic time. But the first thing we had to do was make sure these children in the inner city could relate to us, and what better way than to have the show come to them from a place that was familiar to them—the stoop in Harlem. We populated the stoop with people of color, Latin people, and Jewish ­people—like Mr. Hooper, the candy store owner—so these kids could find somebody on television that they could relate to. But I’ll go to any farm or suburb in America and I’ll say, “Where’s Sesame Street?” and kids will say, “Oh, it’s right here!” even though it doesn’t look anything like their neighborhood. Maria’s first job on Sesame Street was in the library. Were libraries important to you as a kid growing up in the Bronx? Yes, my first job on Sesame Street was as a librarian. I had almost forgotten that. In a lending library. And we did that because we wanted to have a community feeling, that people would share books and that the library was a place where you hung out and sang songs in between reading chapters. Unfortunately my own experience with libraries was very little, as it is for kids who grow up in the inner city. There might have been a small library in the public school that I went to, but it had very few books. That’s why it’s very important to find ways to take books and the library experience to children who don’t have that experience. I found sanctuary in stories when they were available to me. The teachers who showed us books are memorable to me. I remember my 5th-grade teacher’s every expression because he read Charlotte’s Web to us. It occurs to me that children today are analyzed, assessed, and tested even before they had the opportunity to experience the joy of thinking or imagining. And it’s almost like the last place that they can imagine is through books that librarians bring to them. There are many books that have sad stories in them or difficult situations, and kids will read them and say, “Oh, wow, that’s sad, isn’t it?” But there’s a good part to it, and books are places where they could jump off, where their imagination could go further. And it’s more important now because we are becoming a society that just wants to give kids facts. We expect them not only to learn the facts—we want them to learn the facts at the same exact moment that their friend learns the fact. Not a year later, not a year before, not six months later. For a country based on individualism, we really want to put kids in little boxes that learn whatever we think they should learn at the same time. The only frontier for imagination and to come up with your own ideas is when librarians bring books to children, as my fifth grade teacher did when he brought a book to me. 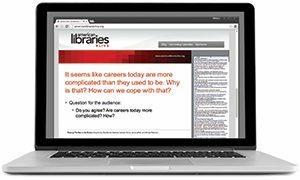 Do you use libraries now as an adult? 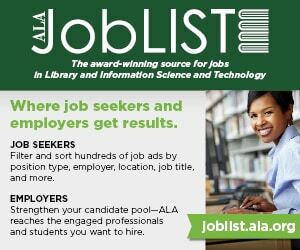 Actually, I was just at a wonderful library, the Wyckoff Library in Bergen County, New Jersey, that does this program with a theater organization called “Selected Shorts.” It’s actors who read short stories. And once a year, we go to the libraries in Bergen County and read stories. And that’s an example of a library community expanding and making it more like a community center. Tell me a little bit about your upcoming book. The title is Becoming Maria: Love and Chaos in the South Bronx. And it is about my childhood up until my first audition for Sesame Street. And it was a tumultuous childhood. My father was an alcoholic and he was violent, and my mother was battered. It was a topsy-turvy world of hope and despair, hope and despair. And I found sanctuary on television, and in stories when they were available to me. Going to the High School of Performing Arts, it might as well have been Planet X, to go from the Bronx, from an inner-city school, to this school in Manhattan that had kids from all over the city who had very good elementary school educations, who had been around books their whole lives. I really saw how lacking my inner-city education had been. I had to do a lot catching up. My book is about that, and it’s about my family, struggling and loving each other, and hating each other. And I’m hoping that kids like it, and that they see that you can make something out of any life. I didn’t become Maria in spite of my childhood. I became Maria because of my childhood. Any life is worthwhile and you can make something of it. On Sesame Street, Maria is friends with Oscar the Grouch. What have you learned about working with difficult people? Well, I can tell you that Oscar the Grouch is my favorite character. One, it’s easy to write for him because he’s negative. And he’s nuanced—I can’t tell if he’s 8 years old or 40 years old. And, what we say on Sesame Street is that you just have to get along with people, even if they are grouchy, even if they are difficult. Just accept that that’s how they are and you’ll have a smoother way of going, which is obviously why ­Oscar the Grouch exists.